Clients visiting GigMasters are looking for the best entertainers and party vendors to help make their event an amazing success. 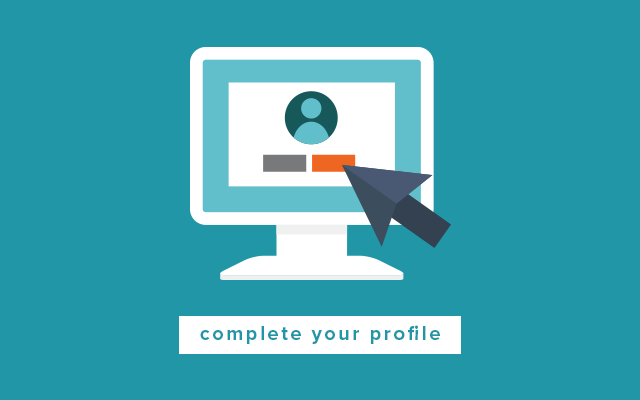 Clients often browse through dozens of profiles, so it's important that you make a good first impression with your profile page. As soon as you sign up, fill out your profile as completely as possible to give potential clients the best sense of what it would be like to experience your talent live and in person. By following these steps, you'll significantly increase your chances of being contacted for gigs on GigMasters. One of the most important areas of your profile is your description. It's one of the first things that potential clients see when they land on your profile and the beginning portion of it appears in search results. You have up to 5,000 characters to describe what you do and what makes you special, so make sure to use it. Take some time to browse GigMasters for other profiles in your category. You will find that most of the four and five star members have lengthy, well-written descriptions. The idea is to provide a detailed description of your services, including how you got started, the packages you offer, awards you've received or notable gigs, and most importantly, what sets you apart from the rest. Always be professional, keep it personable, and use proper spelling and punctuation. Finally, please remember not to put any contact info in your description. Not only is it against our User Agreement, but it will prevent you from being able to track your success on GigMasters. Anything you have on your personal website can mostly likely be incorporated into to your GigMasters profile! This is actually one of the reasons clients love GigMasters - they're able to see everything about your business, request your services, and book you all in one place. Make your changes in the 'Description' section. Click the 'Update Profile' button at the bottom of the page to save your changes. *Tip - Updating Other Profile Details* You can update your Profile Name, City/State, Travel Distance, and Pay Range all in the same place as your Profile Description - on your Profile Details page. A picture really is worth a thousand words! Photos go a long way to helping clients envision you at their event. We allow you to upload up to 100 photos to your profile and recommend that they're high quality and recent photos. Feel free to upload headshots, performance photos, or even past clients enjoying your services. Follow the instructions on the next page to upload photos. *Tip - Reorder Your Photos* You can change the order of your photos at anytime using the drop-down button to the left of the photos on your Modify Photos page. Put your best and most recent photos first! For musicians and other members that sound plays a big part in their talent, audio samples are a must! Without posting audio clips to your profile, your clients have no way of gauging your sound or talent level. Adding multiple samples allows you to show off your diverse repertoire, so by all means, upload as many audio files as possible. If you do not have a musical membership, please feel free to skip this step. If you are a DJ you can upload any remixes you've made, but please DO NOT add copyrighted material to our site, for obvious reasons. Follow the instructions on the next page to upload. *Tip - Audio Format* Your audio files must be in MP3 or AAC format to upload to your profile. Also, keep an eye on how much space you have available for uploading audio/video files, which varies depending on the level of membership you have. If you need to convert audio files to MP3, we suggest iTunes or YouConvertIt. Did you know that GigMasters members with video on their profiles are 3X as likely to get booked compared to those who do not? Needless to say, we strongly encourage all of our members to have at least one video that showcases their talents and services, even if it is just a short clip. (FYI: Our Top Bookers have an average of 8 videos displayed on their profile). *Tip - File Type & Size* GigMasters will automatically convert all WMV, MOV, AVI, MPG, and FLV files to MP4. The conversion process will change the size of your video to 1280 x 720 if it's not that size already. Note: If you have videos from YouTube or Vimeo that you would like to add to your GigMasters profiles, email the URLs over to info@gigmasters.com and our team can get them added to your profile. If you're a musician, impersonator or tribute act - a song list really helps clients see the range of material you cover. A song list gives clients a definitive record of your repertoire. Some clients are looking for a few or even one particular song, so make sure you keep your song list up to date. There are two ways to upload your song list. You can either add songs one by one or as an entire list. Once you've finished adding songs, press the 'Save Changes' button. Click the 'To Upload multiple songs at once' link on the right side of the page. Paste your song list into the open box. Note: The information you enter must be in the following format: Song Title, Artist. Be sure to include a comma between song title and artist name. The song title and the artist name cannot contain a comma and each song must be on a separate line. *Tip - Alphabetize* You can sort by song title or artist by clicking on the table header, or you can manually reorder songs by dragging and dropping them in the desired order. Creating Offers for your profile is an optional feature members have to promote popular service packages or limited time specials. They're a great way to customize your profile and stand out to potential clients. Click the 'Add New Offer' button and fill out the required information about your offer. You can preview it and once you're happy with how it looks, click the 'Save' button. It is important to keep your calendar up to date with upcoming gigs so that potential clients can see that you are an in-demand performer or vendor. You never know when prospective clients may come to one of your upcoming public performances to check you out. Adding your gigs to your calendar also prevents you from receiving leads for dates when you are already booked. Go to the 'Gig Calendar' tab. Select 'I'm creating a calendar entry that will appear on my profile' from the pop-up window. Enter all necessary details (date, time, duration, venue, location, etc.). Check 'Blackout Date' if you're not able to work the remainder of this event date. Click the 'Submit' button to add the gig to your calendar. *Tips* Do not add a gig to your calendar if the client initially submitted the request through GigMasters. If the gig already has a gig number, you must confirm it through the 'Leads' tab. To add an outside gig and get credit for it on GigMasters, make sure for Step #4 that you choose the option 'I'd like to initiate a GigMasters booking that will appear on my profile and allow my client to access all GigMasters features' from the pop-up window instead. GigPay is a convenient and secure way to receive instant deposit and balance payments from bookings on GigMasters. It's 100% free for members to receive funds to a bank account or debit card in 1-2 business days. Once you enroll, you'll get a badge that says "Accepts Online Payments" added to your profile so clients see that you take online payments. This helps you get booked as clients love the convenience of being able to pay online! In fact, 80% of all GigMasters events are booked by members enrolled in GigPay. Go to the 'Account' tab. Fill out the necessary information on the following page to set up your GigPay account. *Tip* You can only require a deposit at the time of booking if you're enrolled in GigPay. Once enrolled, you can easily pay booking fees directly from the deposit. Have additional questions about setting up your account? Give us a call at 866-342-9794 and our team would be happy to assist. Looking for more tips? Our GigMasters Digital Guide to Success covers everything you need to know about GigMasters, from setting up your profile, to managing leads, to getting booked.